By definition, energy can neither be created nor destroyed but rather, it transforms from one form to another. So when we take to sport as human beings we produce energy to transform it from the physical into motion. My whole life I spent transforming my energy into the bicycle. The discovery of this simple, human powered machine changed my life. From the few pedal strokes it took to get around the block, further out of the neighborhood than I had been before, I was hooked on that feeling of freedom. 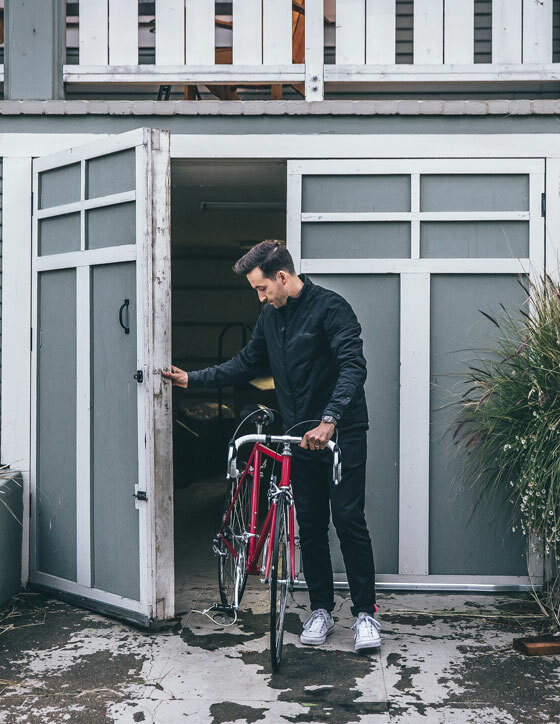 My name is Lucas Euser, and I spent nearly 12 years riding as one of 400 elite cyclists internationally at the top level of the sport of cycling. It was exhausting, unforgiving, relentless and absolutely everything I could have hoped for. I grew up on a bike and I was able to make it as a professional largely because I stayed focused and in the moment. I never thought too far down the road as inevitably a new variable would present itself and I would have to pivot. Over the course of my 33 years on this planet the bike has been my side for nearly all of them. From the time I rode the rusted out BMX bike my dad pulled out of a dumpster to my first road bike, a beautiful red steel bike that looked more like a piece of art than a bicycle. It’s the place I learned what hard work can produce, what it means to be resilient, and how to fail just long enough to learn and move on. The sport of cycling is one of the most unforgiving. Cyclists work their lives surviving on scraps for that one chance to make it. And if they do get there, in an instance it can all be gone. I called it the 60/40 rule. When dealing with the open road a cyclist has 60% in their control and 40% completely at the whim of their environment. Howard Cosell, a famous sports journalist once said, “Sport is human life in microcosm.” It teaches us how to dust ourselves off and stand tall in the face of adversity as others try to beat us down. We find solace in the communal gathering of our like-minded brethren knowing we are not alone. As a professional in a rather niche sport the bike turned to be a universal symbol of our tribesmen. Wherever I went in the world the bike cut down barriers and cultural differences and brought a sense of unity between total strangers. The bike taught me patience, humility and kindness. Overtime the bike became the place where I could process just about anything going on in my life. It was a form of active meditation that gave me the time and place to be with myself and thoughts whether I liked it or not. This process began to teach me the importance of reflecting where we have been by sitting in the present, regardless of how uncomfortable it can be. From that moment we can move forward but if we try to bypass that awkward and uncomfortable present we risk of world of headaches, resentment and trite behavior. When I chose to walk away from pro cycling it wasn’t because I was done with the bike it was because I was done with rigors of training, the consequences of crashing or getting hit by a car, the 200+ days of travel a year, missing memorable family moments, and the ultimate sacrifice it took to ride at the top level of the sport. But even though I was done racing, I had a hard time letting go of that identity of a pro cyclist. So, as I had learned in my career, I needed to go back and reflect on where I had been in order to move forward. This opportunity came in the form of my very first road bike, that beautiful red piece of art, resurrecting itself back into my life. When I was 13 a bike came into the local bike shop I was working at and the owner was trying to sell it. Pulling money I made from my paper route and changing flat tires at the bike shop I was able to purchase my first road bike. 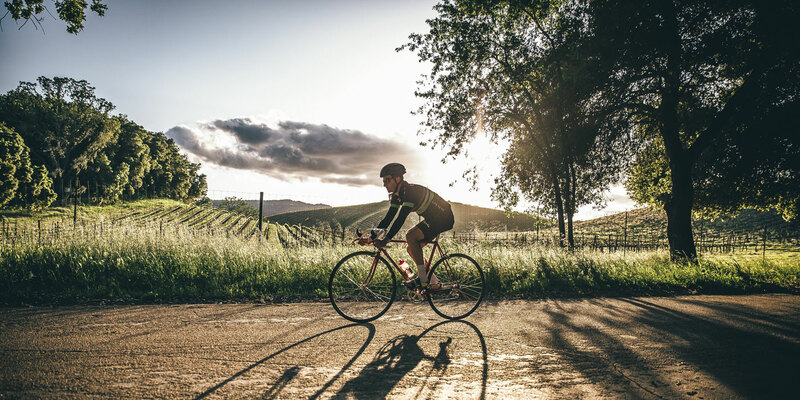 I started to ride on the roads of my hometown, Napa, California. Further and further I went, doing my first 100 mile ride on that bike when I was 15. As my talent progressed so did my desire for lighter, faster bikes and this older, heavier steel built bike found its way into the hands of others. When I gave it away I made the new owner promise they would never sell it but rather pass it forward when they were done with it, a trend I have kept with many of the bikes I have passed on. Midway through 2016 an opportunity came up to find the bike again. After a few phone calls and tracking its path I was able to find it. But when I got it, it didn’t have the life it had in it when I passed it on. Maybe it was my 33 year old self with a skewed perception of my 18 year old reality but I knew it needed some love. In a rather serendipitous moment, I got a phone call from The Pros Closet, a local Colorado business that offers new and used bikes and parts from its massive collection. They are also very savvy on hand picking some of the most unique and pristine vintage cycling memorabilia in the country. Think “American Pickers” only for bikes. 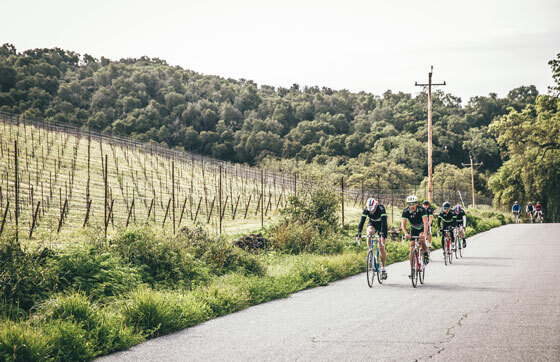 They had an idea to gather a handful of ex pros and build up some vintage bikes so we can all get together and ride a classic vintage bike event called Eroica California, a sister event of the original Eroica in Italy. 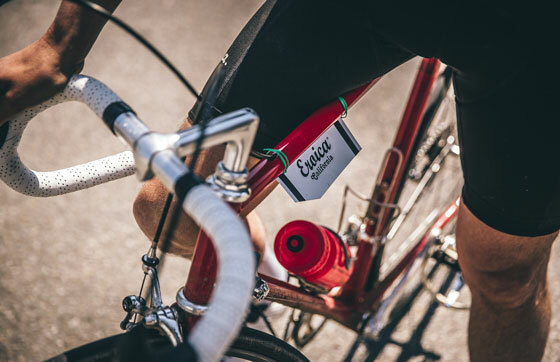 Eroica is a unique ride bread out of the deep traditions and unwritten rules that govern today’s modern approach to cycling. It’s an homage to where we’ve been with a tip of the hat to where we are going. 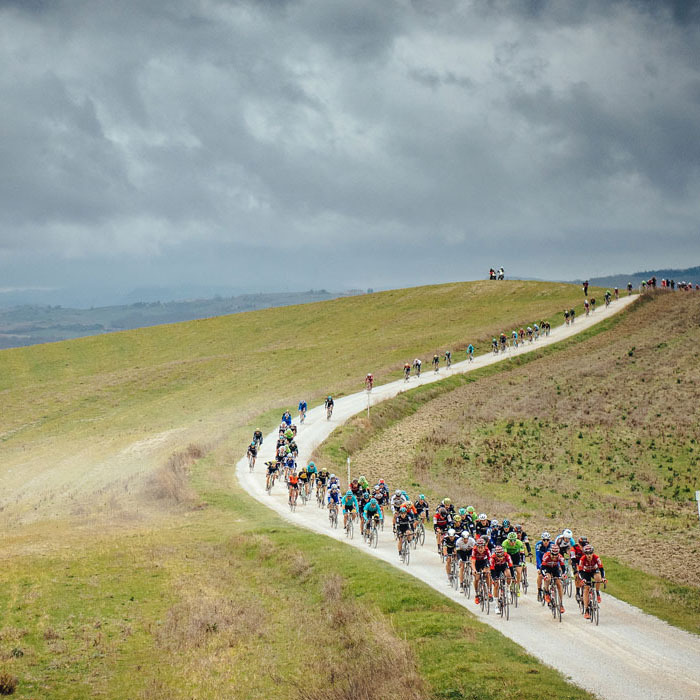 Eroica was born on the white roads or strade bianche of Tuscany. Organizers wanted to give modern cyclists a challenge similar to where our forefathers had been so they set rules where we have to ride vintage bikes and mimic specific eras in our history. In Italian Eroica means Heroic and is less of a word and more a way of life. In Italy the cyclist is championed and revered as a heroic representation of the working class. If you pour your blood, sweat, and tears into the sport, there is that small glimmer of hope that you will succeed. It truly is the national sport of Italy and Eroica is meant to honor that and spread that love and tradition across the globe. To relate to this Heroic emotion in the closing chapters of my pro cycling career while riding the bike that made me first fall in love with cycling and on roads I developed and matured into a pro cyclist was the perfect way to close the book. Reflect, process, and move on. I suppose it was my own hero’s journey, one where I came full circle ending back on the bike that started it all and loving every minute of it.